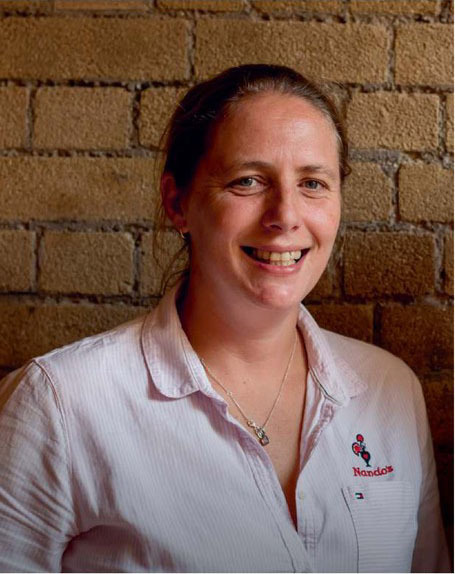 Beverly is the MD for nine Nando’s restaurants in Ireland. She was part of the team that brought the brand, which is best known for its legendary and delicious flame grilled PERi-PERi chicken, to Ireland almost ten years ago. With chicken on or offthe bone, in a wrap, burger or pitta, and served with a delicious selection of sides, salads, appetisers and sharing platters, Nando’s offers great variety, and mouth-watering recipes to please all food palettes.